Casper J. (or C. J.) 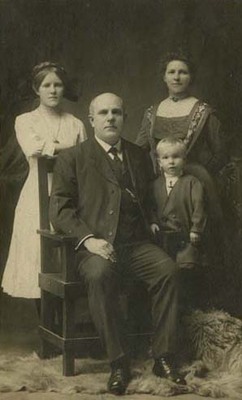 Jacoby was born in 1855, one of eleven children of Henry and Katherine Peiter Jacoby of Brighton, Illinois. 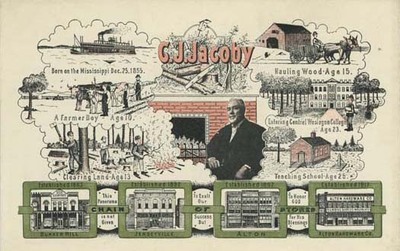 C. J. Jacoby attended public schools in Brighton and Central Wesleyan College in Warrenton, Missouri. He became a country school teacher, but after a year gave up that career to become a traveling salesman. In 1883 he established the first Jacoby store in Bunker Hill, combining furniture sales with undertaking. 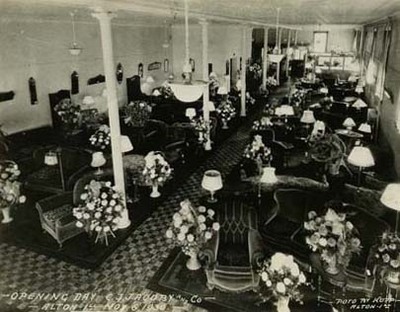 His store soon offered carpets, wallpaper, pianos, organs, and sewing machines in addition to furniture. 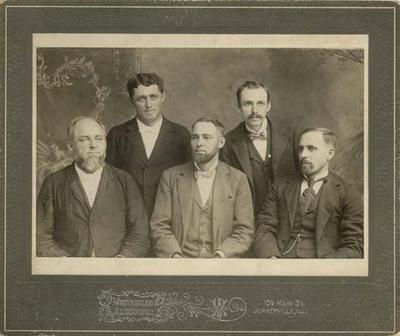 In 1891 C. J., along with four brothers, Philip W., Henry C., Louis C. and William C., initiated a stock company; and in 1892 they established a second store in Jerseyville, Illinois. 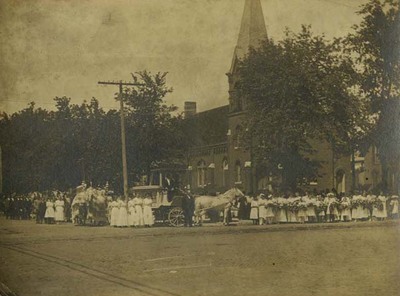 Operating under the name Jacoby Brothers, the furniture and undertaking business provided a source of employment for the Jacoby siblings, with Louis Jacoby becoming the manager of the Jerseyville store. 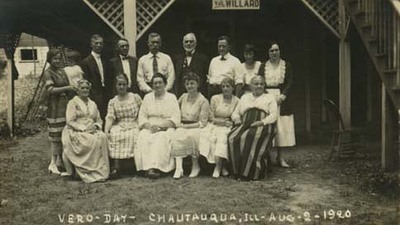 In 1897, C. J. Jacoby opened a store in Alton. 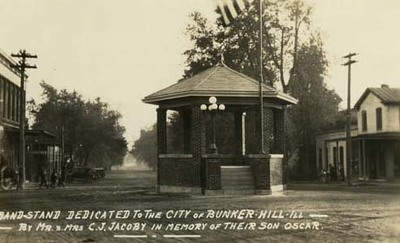 C. J. left the management of the Jacoby Brothers’ stores in Bunker Hill and Jerseyville to his brothers, and began to operate the Alton store under the name of C. J. Jacoby and Company. This store became the largest of the Jacoby stores. 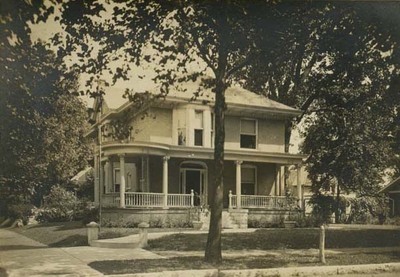 In 1904 the store located itself at 627-629 East Second Street. 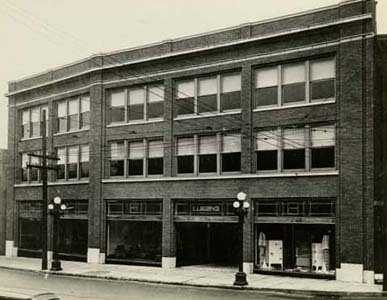 In 1925 Jacoby purchased the Alton Laundry Company building and the Dr. Wuellner building, which were next to each other on Broadway in Alton. In November of 1930, a modern three story store was opened at the Broadway location. In addition to the three furniture stores established, a fourth was opened in 1920 in Wood River. 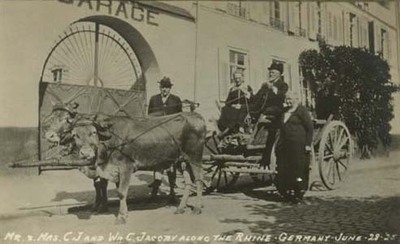 Jacoby also purchased the Alton Hardware Company in 1917, which continued to operate as a hardware concern. He married Anna D. Lippoldt (1858-1929) in 1882, also the child of German immigrants. 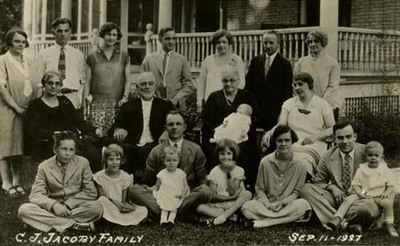 Together they had eight children: Oscar K. (1885-1905), Clara H., Effie F., Edwin L., Philip W., Caspar J., Jr., Verneda and Anna. 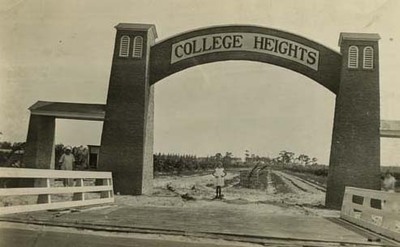 All the Jacoby children attended Central Wesleyan College. 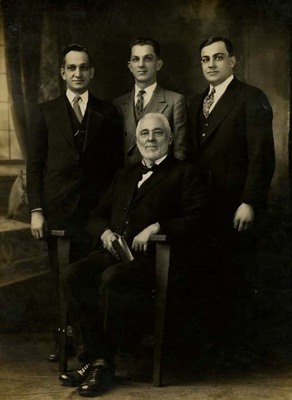 Edwin, Philip and Caspar, Jr. inherited the operation of the Alton Store from their father as he entered retirement. 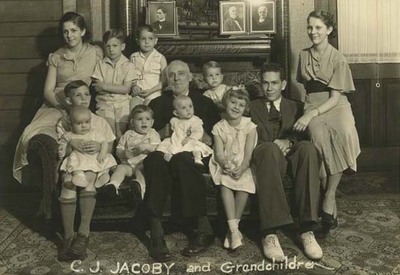 As of 1985, the grandchildren of C. J. Jacoby continued to operate the Alton store at 627 West Broadway. 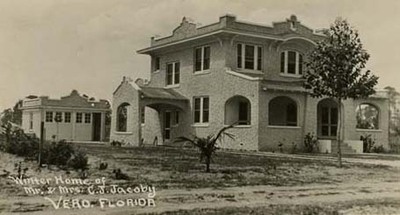 The Jacoby family donated the Broadway location the the Madison County Arts Council for use as the Jacoby Arts Center, which opened in 2004. The finding aid for the C. J. Jacoby and Company (Alton, IL) Records, 1895-1939 at the Abraham Lincoln Presidential Library and Museum may be found at http://alplm-cdi.com/chroniclingillinois/items/show/108. 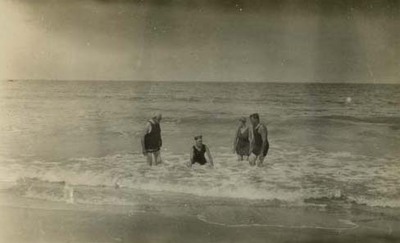 Photographs in this collection include family portraits and images of Jacoby family real estate holdings including a home in Vero Beach, Florida, and the Alton, Illinois store.